SRM Stickers has a challenge up to pair chipboard with stickers, so I pulled out my Bazzill chipboard and Bazzill stickers and created this Thank you card. Of course I had to use a punch for a nice edging then a flower and brad. Check out these goodies. 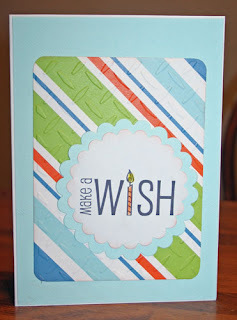 It appears I entered a Bazzill Basics Basket Giveaway from All Americn Crafts Publishing and I won!!!!!!!!!!! I can't believe it, I've never won anything like this before. It was like Christmas morning opening all the packages. I received complete class kits for all the classes taught at CE. There was even an album in a box, a really cool CE green bag as their logo on a bottle of water!!! I can't even begin to tell you there is stuff from Heidi Swapp, Bazzill, Ranger, Tim Holtz and more. I am still in shock and all I can say is THANK YOU!!!! I am going to have so much fun with my new goodies. 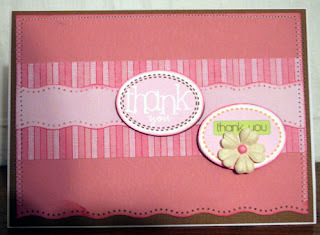 It's Monday again here at Kat Stamps and we are in the middle of another blog hop. I hope you got here from Wynneth's blog. If not, just start at the top of the list HEREand see everyone's creations. 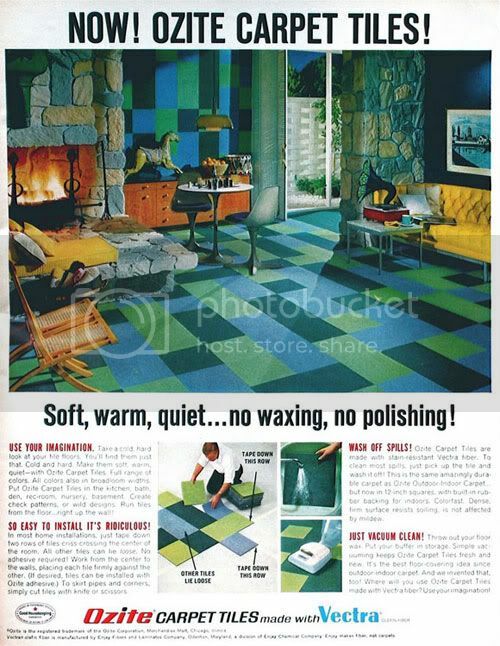 Today's challenge was to use the following ad for inspiration. Isn't it gorgeous! 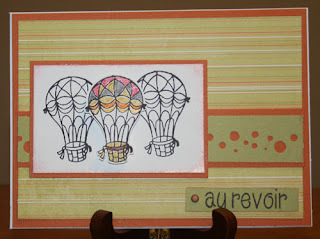 I loved the oranges and yellows and the fireplace aura so I created this card with the new Bon Voyage stamp set. I just love the hot air balloons!!!! I stamped them 3 times, colored in one with Copic Spica pens (love the sparkle), then cut it out and used pop dots to make it stand out. 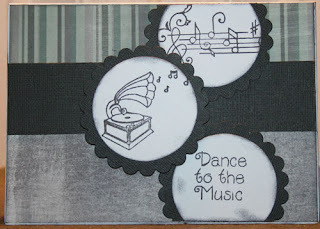 Now head on over to Kimme's blog and see what she has created this week. Have you seen Prima's blog lately? This new line is awesome. I can't wait to get some at my house. Just leaving a post on Prima's blog could win you some goodies. It's Monday and I hope you got here from Wynneth's amazing blog. If not, just start at the top of the list HEREand see everyone's creations. 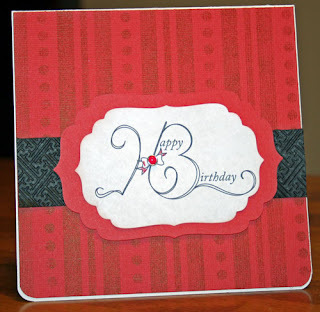 I used a Happy Birthday stamp which I got from one of the grab bags I picked up at Kat Stamps. I found these wonderful papers in my stash and created a birthday card. The background of the card is actually aqua - it didn't show up too well. And don't forget to pop into the store for a fabulous sale - 35% off stamps this week. Pick up some, you'll be happy you did. 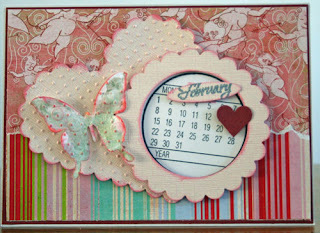 Just in time for Valentine's Day, my January design team project is up on the Creativexpress blog. 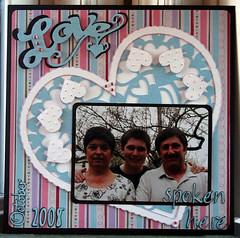 This was definitely a fun project and I loved using the new Cricut Love Struck cartridge. All the details can be found on the Creativexpress blog. I believe this has to be the most snow we have seen here on Long Island for years!! While we were lucky enough to miss last month's snow, we are supposed to be getting about 14" today. I must say it did look pretty at 6am, but now it's just a mess. 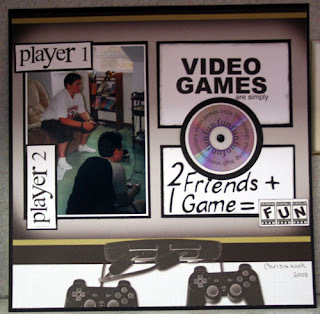 My son and his friends love to play video games and I found this amazing paper and rub-on collection at Scrappin' Sports Stuff . They have an amazing assortment of products for every sport imaginable, and yes, I sometimes believe that video gaming is a sport - a finger sport that is!!! I love their selection of products and you have to see what they are getting in from CHA!!! It's Monday and another preview day for Kat stamps. I hope you got here from Wynneth's blog. If not, just start at the top of the list HERE and see everyone's creations. I absolutely love stamp release day and this by far is one of my favorite stamp sets. There is so much you can do with it. 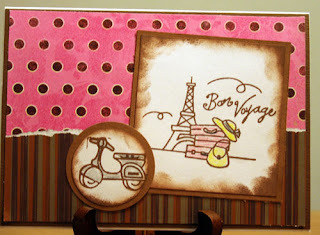 I used the new stamp set Bon Voyage. Isn't it lovely? Think of all the wonderful projects you can create with this set. 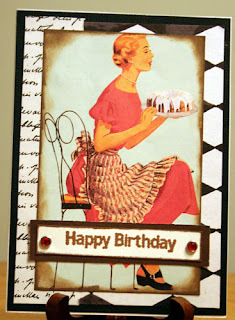 Now, head on over to Kimme's blog and see her wonderful creation. And don't forget to check out the store - there is a sale going on. 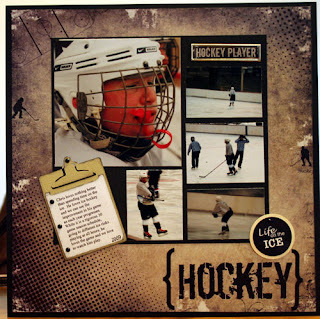 My son LOVES ice hockey, so I created this layout for Scrappin' Sports Stuff . They have an amazing assortment of products for every sport imaginable!!! I love their selection of products and you have to see what they are getting in from CHA!!! Love it. Go check out the store, you will love the products you will find there. It's Papertrey's anniversary and today the design team was giving away some digi birthday images. I made 2 cards with the images. This first image is from Lisa Johnson. This next image is from Melissa Bickford. Hi everyone. It's a new month and you know what that means, right? 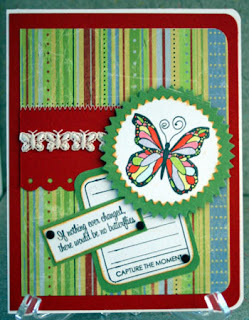 It's new releases at Kat stamps. Oh you will love this month's releases. I hope you got here from Wynneth's blog. If not, just start at the top of the list and see everyone's creations. Once you are done, pop on over to the store. I used the new stamps from the High Note set that will be available in the store shortly.